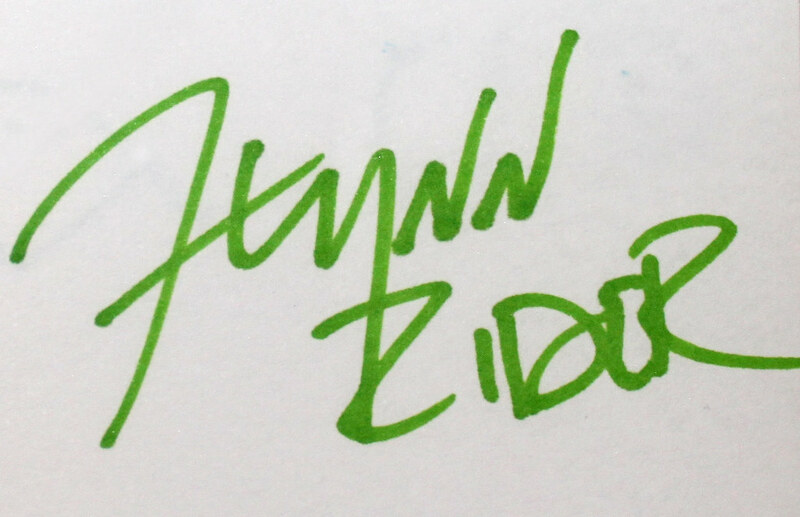 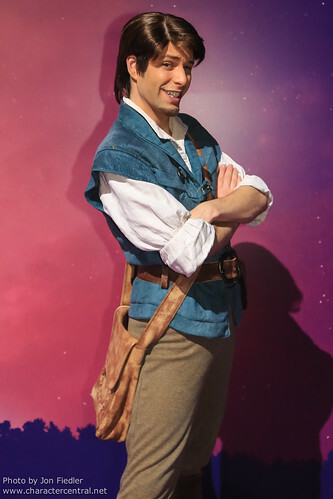 Flynn Rider is a former jewel thief that once had half the kingdom looking for him. 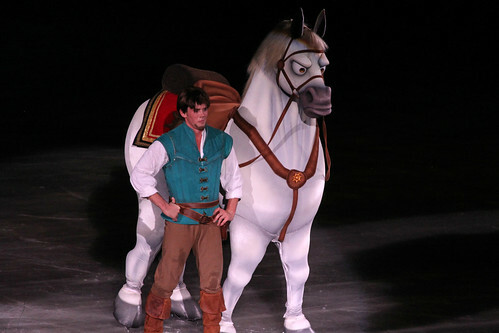 His face was plastered all over the realm - but they just couldn't get his nose right! 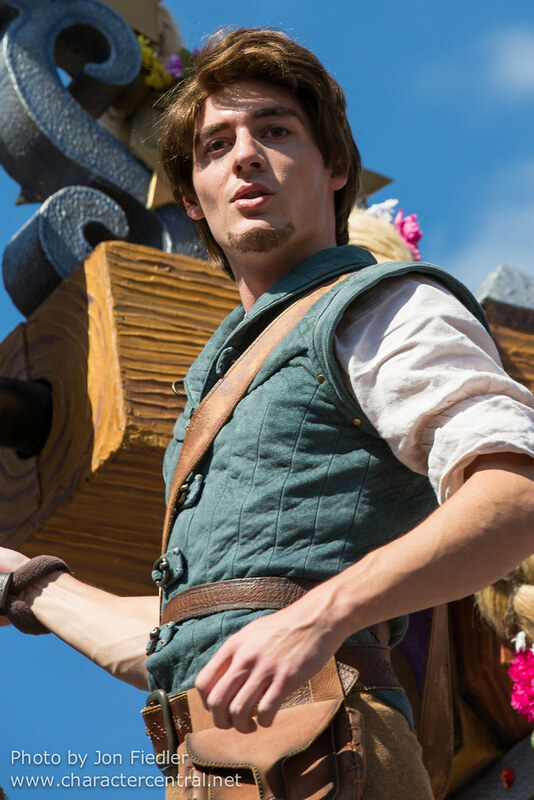 Coming across a secret tower in the forest, Flynn Rider meets a sheltered young woman who is obsessed with the floating lanterns from the kingdom. 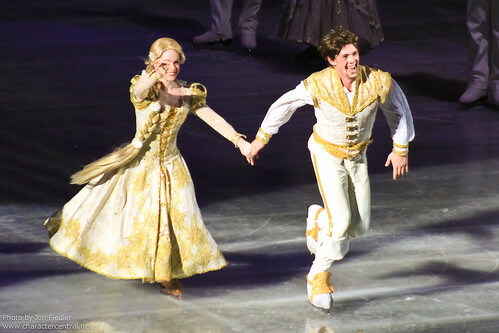 After an encounter with a rather violent frying pan and an unforgiving chameleon, Flynn agrees to take the young woman - Rapunzel - to see the lights. 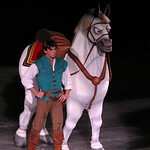 Along the way, Flynn discovers who he really is - revealing his real name to be Eugene - and falls in love with Rapunzel. 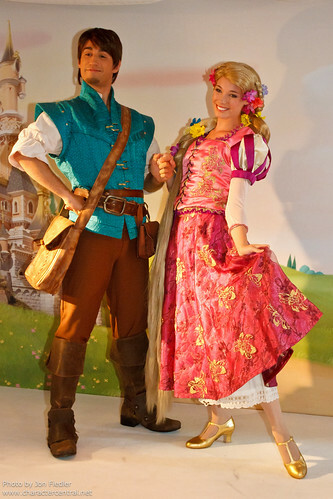 Eugene and Rapunzel defeat their foes and reunite with Rapunzel's long lost family, living happily ever after in true fairytale style. 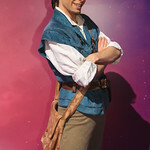 Flynn Rider appears daily at the Trattoria al Forno character breakfast at the Boardwalk (WDW).